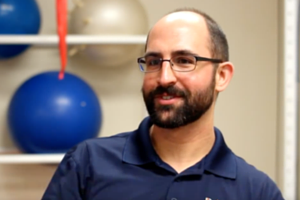 Dr. Ryan Rubio, PT is a Doctor of Physical Therapy at Danville Orthopedic & Athletic Rehabilitation. He earned a Doctorate of Physical Therapy from the University of North Carolina at Chapel Hill. Ryan joined the team at DOAR in 2014. His specialities include orthopedics rehabilitation, manual therapy, and aquatic therapy. Outside of work, Ryan stays active running and keeping up with his toddler son. He and his family reside in Danville, Virginia.